If you’re looking for the most relaxing place in the United Kingdom, well… look no further than this little treasure, tucked at the bottom of a private valley in Devon. We spent a weekend here and to be honest with you, we ended up doing absolutely nothing. Normally, we’re up and about for sunrise, checking out every nook and cranny of the area, but as soon as we opened the wooden gates to this little countryside heaven we didn’t want to leave. The lodge had recently been handcrafted by a local carpenter and it’s beautiful. The interior looks like it’s straight out of Vogue Living, scattered with turquoise, yellow and pink soft, fluffy furnishings. It’s so modernly rustic, it is the perfect place to unwind. 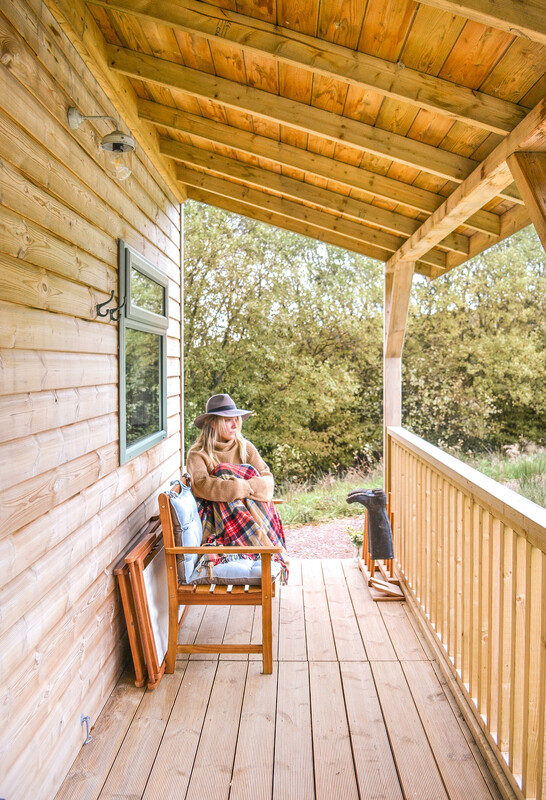 The lodge was only constructed earlier this year and is located next to a little pond which is the the home to lots of Ducks and Geese, who nest on the little Island in the middle in the earlier months of the year. Not only can you watch the birds around the lodge, but there’s also rabbits and a huge organic dairy cow who comes to say hello. We were visited one morning after breakfast. Along side the wildlife watching the lake also has a little row boat, so even if you don’t want to leave the lodge on a hike (which we decided against) you can get a little bit of exercise. Apart from the boat, which to be honest we weren’t on for very long because of the drizzly weather, we spent most of the weekend horizontal. Surprisingly, one of the things we loved about Gosling Lodge was there was absolutely no signal in the lodge itself, if you walked to the other side of the pond you were lucky to get one bar, but we hadn’t worn bras for two days and it was drizzling outside 24/7, so we weren’t venturing that far! Being millennials you would have though this would send us into meltdown and to be honest when it happens anywhere else it normally does. But here, hey who cares!? You’re so cocooned away in this little warm duvet, log fire, cheese eating and PJ wearing world you don’t even want to look at your phone. Our phones actually died while we were here and we one didn’t notice and two didn’t charge them for well over a day to bring them back to life. That might sound pathetic and now we’re writing it, it kind of is… but then it’s also true and were thinking (hoping and praying) a lot of people will relate. Now, life is easy at Gosling Lodge in nearly every single way apart from one, in winter that is… the lodge is heated by a log burning fire and it is one of the most magical things you could have to keep you warm, however, not the easiest thing to keep alive – and in November you want that baby alive! We obviously spoke while we were there, we actually love a good quiz question so that was our main topic of conversation, however, the most common thing which came out of our mouths while we were there is; ‘Is there still a flame! ?’, ‘You need to open the grate its dying!’, ‘GO GET SOME MORE LOGS NOW!’ This was probably due to the amount of napping time we scheduled and also later in the evenings due to the amount of wine and cheese consumed, but we’ve decided overall, log fires aren’t our forte. Although, it was perfect so we wouldn’t have heated the lodge any other way. If you want a break away from reality and to really recharge your energy, Gosling Lodge is the perfect place for you.